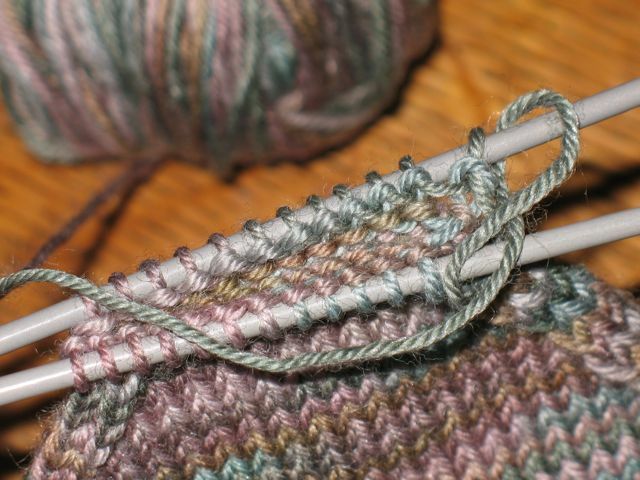 Knitting: keeping women down or road to romance? Discovering the potential fun and flirtation of a half-finished sock. 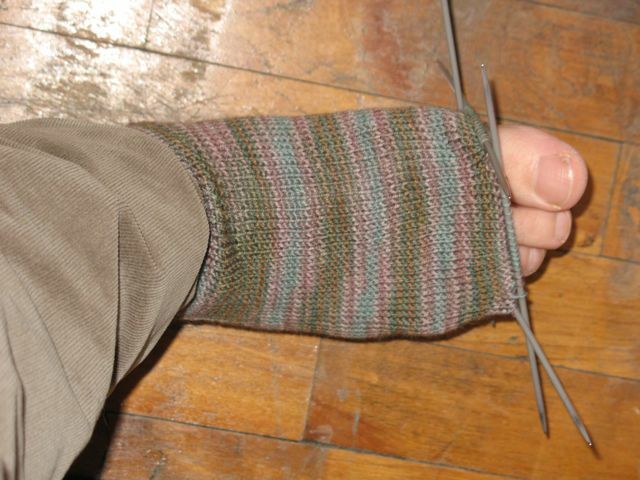 It took me a long time to knit my first pair of socks. I grew up watching my mother knit endless pairs of wool work socks for my Dad. For years I listened to my Dad’s complaints. He hated knitting. He hated the sound of needles clacking. And more than that, he hated the complacent look on women’s faces as they knit their lives away instead of rising up and taking their rightful places in the world. My mother taught me to knit, but I didn’t start knitting until after I left home. And I didn’t make my first pair of socks until my niece gave me a sock kit for Christmas. That’s when the memories came back. 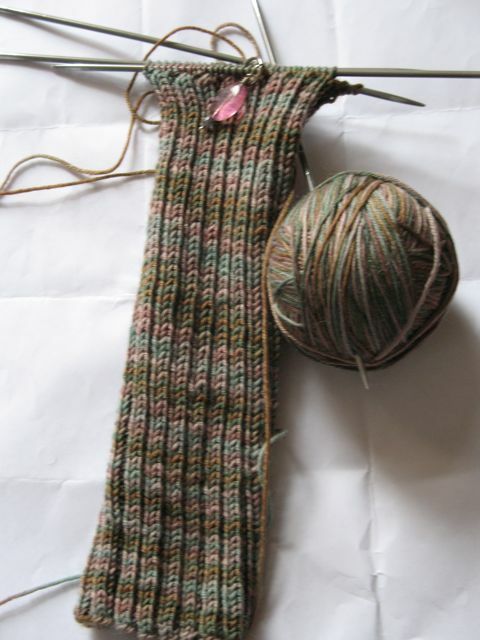 There I was learning to turn my first heel and measuring the length of the foot. That’s when I remembered Mom putting the half finished sock on Dad’s foot. I remember how he giggled. It tickled. He actually giggled. She giggled back. Those two old farts, giggling together over half-finished socks. Now I know why she kept on knitting with that complacent look on her face, totally ignoring his complaints for all those years. Thanks to my niece for this gift.